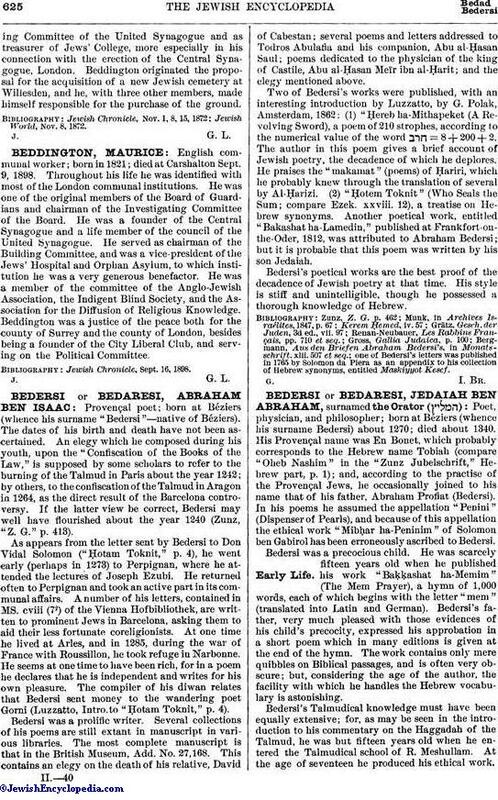 Euglish communal worker; born 1819; died Oct. 31, 1872 He was a member of the council of the United Synagogue and of the committees of several charitable and educational institutions. He rendered services to the community as chairman of the BuildingCommittee of the United Synagogue and as treasurer of Jews' College, more especially in his connection with the erection of the Central Synagogue, London. Beddington originated the proposal for the acquisition of a new Jewish cemetery at Willesden, and he, with three other members, made himself responsible for the purchase of the ground. 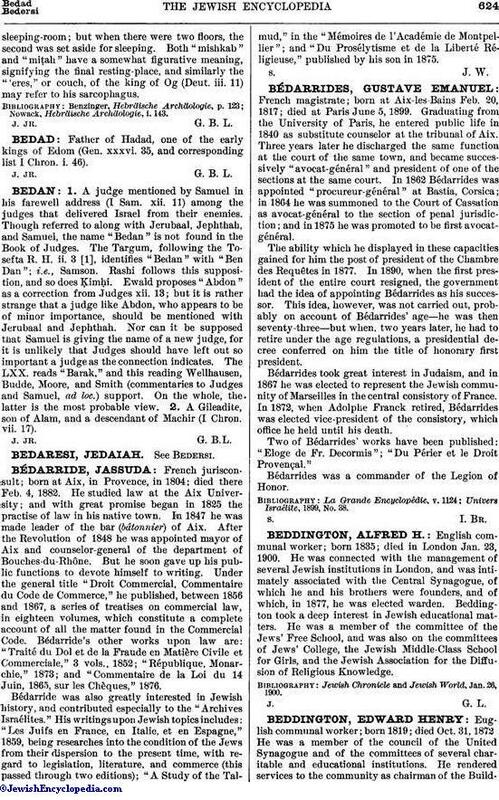 Jewish World, Nov. 8, 1872.